And we’re back! This Closet Mission post has been a long time in the making. 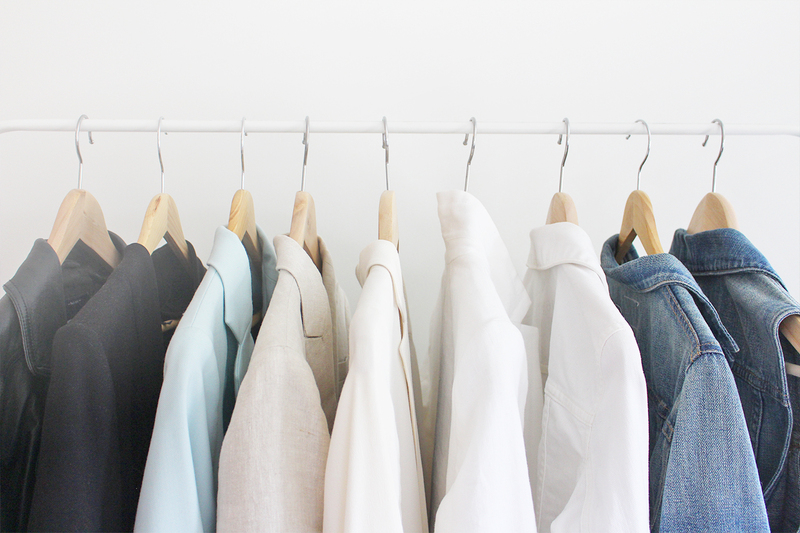 We’ve discussed a lot of topics so far including; Shopping Fasts, Triggers, Style Stories, Defining Personal Style, Colour, Pattern, Shape + Fit, Fabric and most recently took a look at creating a Capsule Closet. 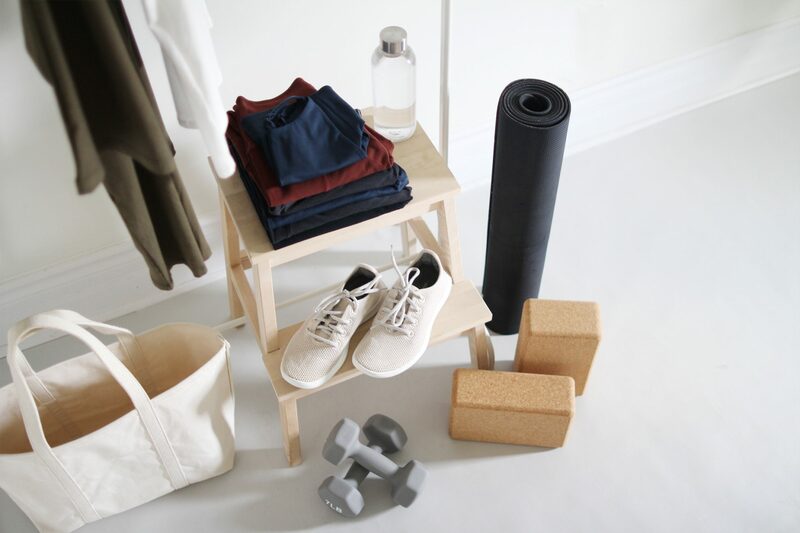 All these elements play a key role in finding style satisfaction but ultimately the most crucial step in establishing a lean closet is cleaning it out. 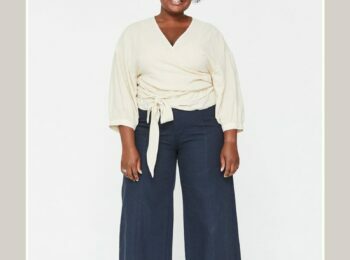 Many would argue that this should be the first step when you’re looking to find more contentment in your wardrobe and I’m not going to dispute that, even though I’ve taken a slightly different approach. 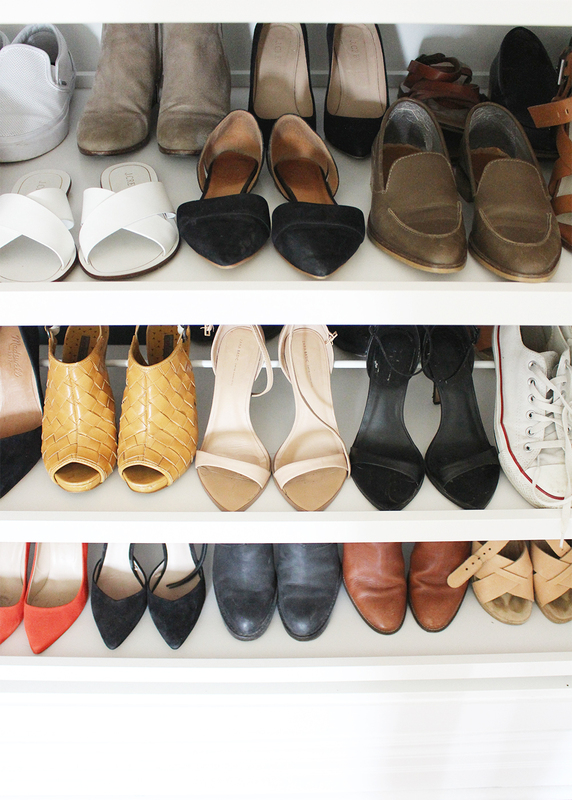 There are all kinds of reasons why we let our closets get over stuffed. Most people have trouble letting certain things go and clothes, in particular, can have a lot of sentimental value. 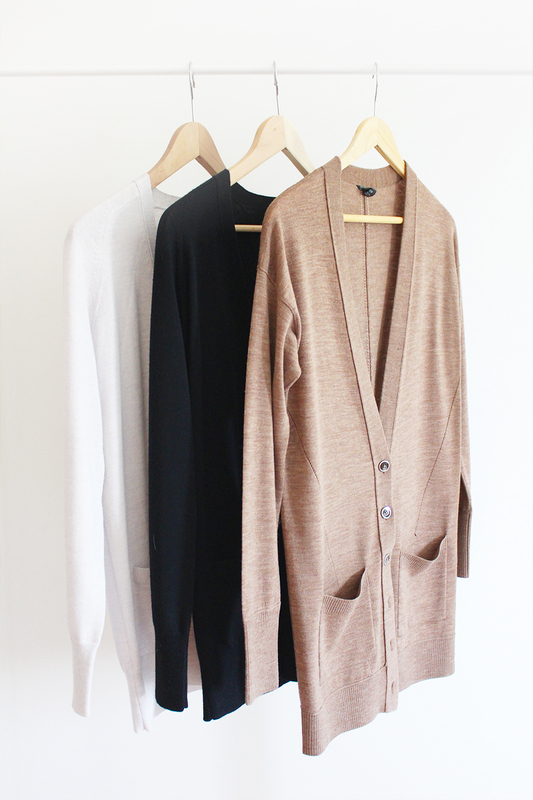 We associate a certain dress with a vacation somewhere or a specific sweater with our college days and so on. Which is totally fine unless you find that every time you open a drawer it’s filled with clothes that aren’t really you, as you are and want to be, right now. For years I really struggled to do a proper closet ‘purge’. I would end up just reorganizing my stuff rather than actively eliminating things. 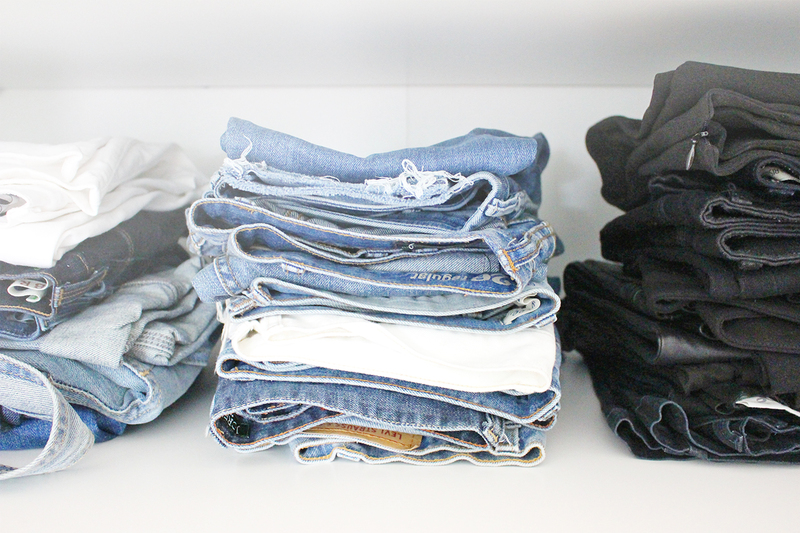 Before I knew it, I’d be right back where I started, in front of an overflowing wardrobe with nothing to wear. I’d keep things because they were ‘cute’, ‘fun’, ‘expensive’ or something I’d wear ‘one day’ but really I never wore any of it again. Meanwhile, someone else could have been enjoying it! I’ve now done about 3 significant closet clean outs in the last 8 months and I can say, without a fraction of a doubt, that I really don’t miss one thing that I said goodbye to. But I’m not suggesting you just start ditching everything on a whim. It’s important to approach a closet clean out strategically and objectively so you can walk away feeling refreshed rather than emptied out. See below for my filtering process and a few tips on how you can make sure your clothes end up in the right place. Begin by pulling everything out into the open. Shirts, shoes, tees, undies, socks, pants, all of it! The better you can see what you’re working with the better you can assess the situation. To avoid turning your room into a tornado touch down zone use these printable cards to mark which piles are which and even consider having bags or boxes at the ready so you can easily move piles around. 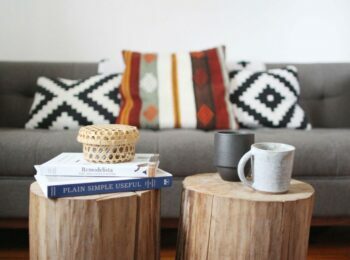 KEEP – The stuff you truly like is pretty easy to pin point but it can be tough to make a call on some items. My basic benchmark for whether something stays or goes is if I’ve worn it within the last 8-12 months. If not, then it’s out. Of course some special occasion items are an exception but generally that’s my baseline. If it doesn’t adhere to my personal style definition I let it go and if it’s too small or too big or uncomfortable in any way it gets the boot. I’ve kept WAY too many items because I thought one day it might fit again, but it never does. When in total doubt I’ve used this awesome flow chart from Into Mind to determine where an item really belongs. SELL – There are lots of easy ways to sell your clothes. 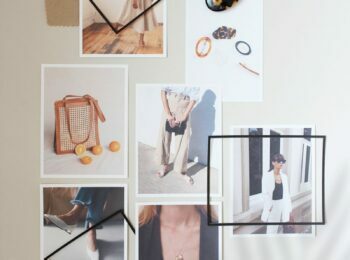 Many people use Instagram as a mini market and I just discovered a great new account @sustainthefashion which will post the clothes you’d like to sell (for a mere $1/item fee). This way you’ll get more exposure and you don’t have to create a new account. Learn more about it here. Depop is another option and an app created to buy and sell your clothes and other items. If you have some high-end designer goods TheRealReal has a great reputation. Personally once I’ve decided something needs to go, it needs to go, like now. So I like to sell my good quality items via consignment. 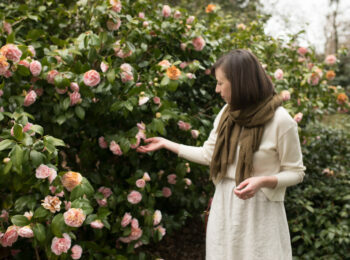 I use the shop Wild Rose in my city and they are great. Plus anything that doesn’t sell in a certain timeframe gets donated to local women’s initiative groups so I know nothing is going to waste. 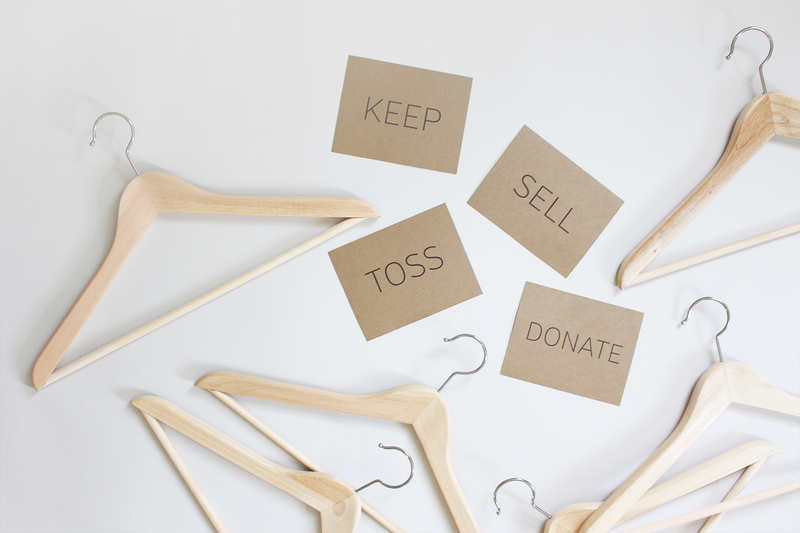 DONATE – There are tons of options for donating your good condition but not necessarily resalable clothes. One great option is to have some girl friends over and let them have at your rejects. Who knows, maybe someone’s had their eye on a pair of your shoes or a bag for ages. Now they can finally enjoy it. Other options of course include Salvation Army, Goodwill, Value Village, thrift stores and so on. Chances are there’s even a clothing donation drop-off bin in your area. TOSS – Being in constant renovation mode I rarely have cause to throw anything away since the worse shape it’s in the better it is for painting, scraping, sanding etc. But once in a while there a few things that can’t be saved and I try to recycle instead of just throwing them in the bin. Once you’ve sorted everything and drawn hard lines on what stays and what goes it’s time to put your closet back together. This is definitely my favourite part but it’s also a critical step in establishing closet contentment. The best way to feel like you have something to wear is to actually see that you have something to wear. Keeping your options visible is my #1 suggestion but of course, we can’t all have epic walk-in closets. Our house was built in 1890. Sure, sure, that’s charming and all that but it also means there were ZERO closets when we moved in. Unless of course you count the weird cubby hole above the stairs that had brown, peeling 50 year old wallpaper and gave me the creeps. Anyway, we had to brute force some proper storage space into the upstairs bedrooms and bathroom but even still we’re not exactly swimming in closet space. Here are a few of the best ways I’ve found to maximize visibility when space is tight. 1. Colour coordinate. I know it seems neurotic and a wee bit OCD but I’ve found that if everything is sorted by colour I can zero in on the one I want and go from there. 2. Hang or stack similar items together so it’s easy to quickly sift through them. 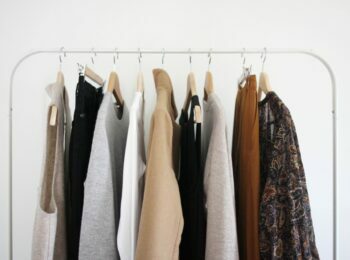 I like to colour code within the garment type ie: jackets, blouses, dresses etc. to take the categorizing to the next level. I know, it’s slightly cray but I swear it makes a big difference! 3. Turn the waist of your pants outward so you can better see which pair is which. If you’re a denim devotee like me there’s a chance even the most cutthroat closet clean out will still leave you with a considerable collection. Even when I was storing my jeans in drawers instead of shelves I found it really helpful to turn the waist bands outward. This way I avoid pulling 5 pairs out until I find the ones I want and everything stays much more organized. 4. 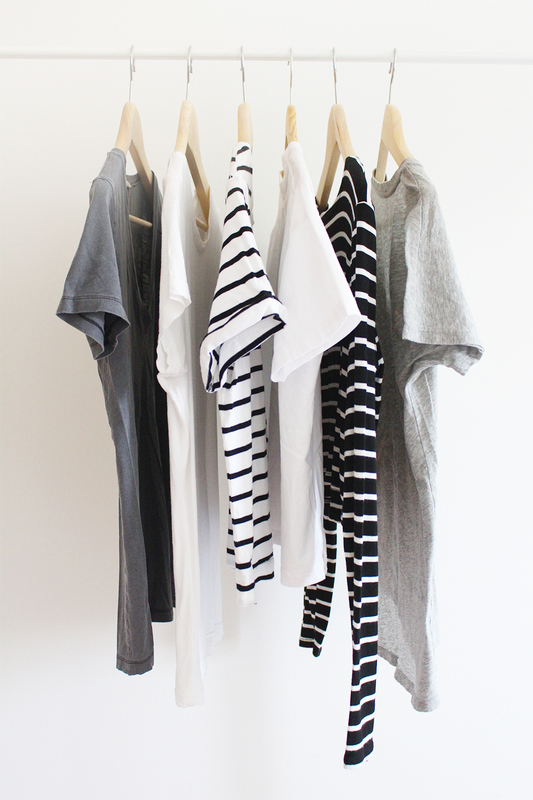 Hang casual t-shirts. No one wants to wear a wrinkled up t-shirt that’s been shoved into a corner for weeks. 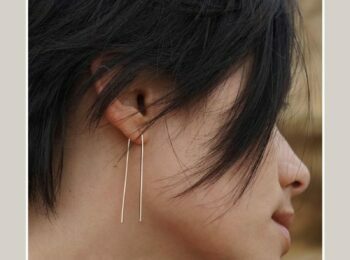 By hanging them up they’ll crease less and you’ll be able to see them better. Plus it’s nice to give the ultimate wardrobe staple the honour it deserves. 5. Stow away off season wares. A great way to give yourself more closet space is to store clothes that you won’t wear for a few months like sweaters, boots and coats in the summer and light dresses, shorts and sandals during the winter. I’ve been using these bins from IKEA for years and they slide easily under the bed. Just don’t forget you’ve stored stuff when the season comes back around! 6. Conduct a closet clean out every 4 months. This may seem too frequent but I’ve found it’s just about right. 6 months is too long and let’s too much clutter accumulate. 3 months is too soon as you may not have had occasion to wear certain things yet. But 4 months gives you lots of time to wear what’s there and long enough to come to terms with what’s not needed. By your third clean out of the year you should feel like you’ve got a pretty good sense of all the items in your wardrobe and whether or not they fit your life and style the way you want them to. So those are my thoughts on closet cleaning and maintaining! 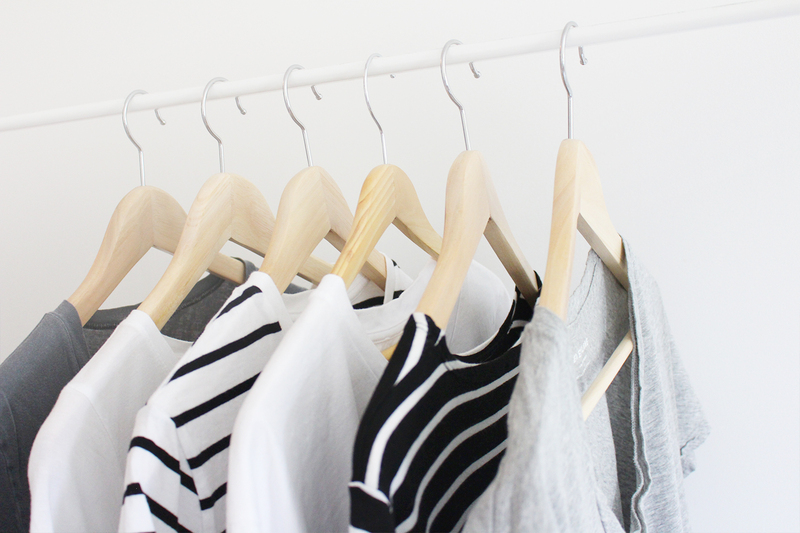 Now is as good a time as any to rid your space of excess and get your closet in ship shape for the summer. When the weather is gorgeous and the days are long, no one wants to waste time sifting through too much stuff, wondering what to wear! 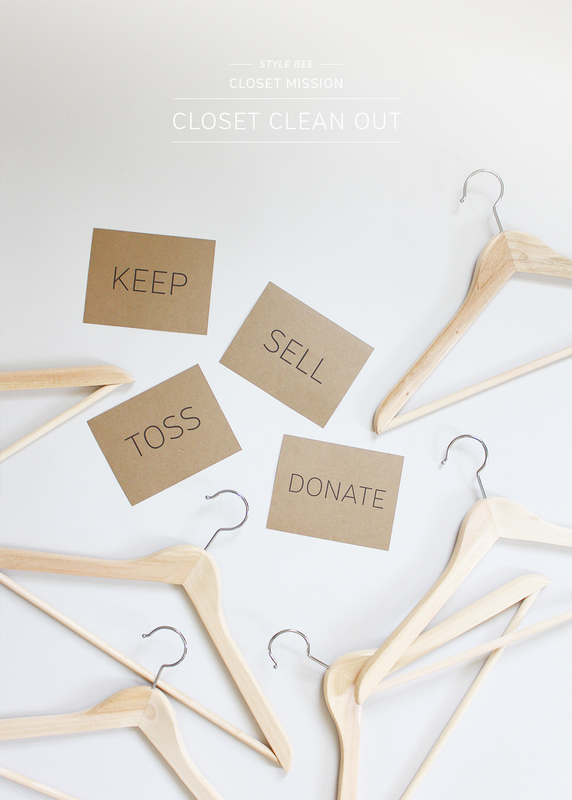 Have you got any great tips for cleaning out the closet or maintaining a lean one? I’d love to know! Also, I just LOVE your blog! It's clean and light, yet the content is probably the most informational in the style/fashion category. The posts are so professional that I thought i was reading a literature review for school, just that it's a very interesting one 🙂 I'm so glad I found your blog! You put so much effort into this Lee! Another great post. As we’ve been on parallel journeys I’ve done some major closet cleans and it’s the best thing ever. Be honest and not afraid to move on. Remember, it’s just stuff! Have a great weekend!